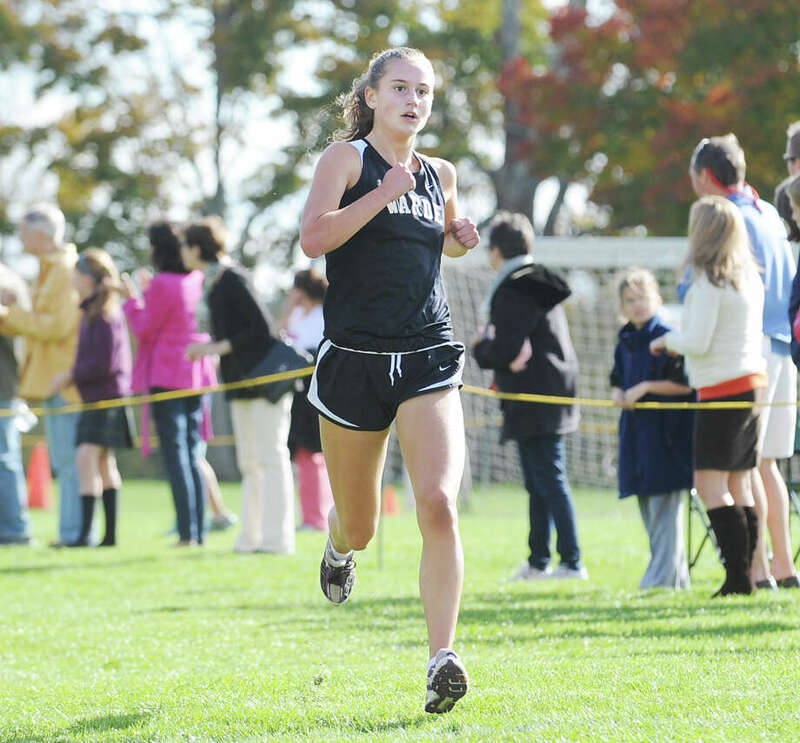 Defending state Class L and FCIAC champion Cate Allen leads a strong Fairfield Warde girls cross country team that is expected to be a force in the conference this fall. On the Warde boys team, Aidan Fiol and Nick Gans give the Mustangs a powerful one-two punch. The Fairfield Warde boys cross country team is poised to have arguably the state's best 1-2 punch. Yet, as is the case in cross country, the team will have to find Nos. 3 through 5 in order to have those standout runners on the course translate into victories. Aidan Fiol and Nick Gans, who finished second and eighth at the 2012 Class L cross country championship meet respectively, will spearhead the Mustangs' boys squad. Warde was 15-3 a year ago and took home a more-than-respectable 18th-place finish at the State Open. While Gans and Fiol are legitimate stars, head coach Tim Foster's squad must find a way to replace Warde's five seniors from a year ago who graduated. The Mustangs will look to three juniors -- Alex Petrecca, Greg Lombardo and Shane McVeigh -- at the start and are hopeful that a slew of freshmen and sophomores can pick up the slack for the departure of the five. Sophomores Charlie Kieffer, Chris Robinson, Jon Salerno, Matt Wojnoski, Jacob Russell, Julian Kinney, Jackson Stearns and freshmen Will Brisman and Quinn Herman are being given opportunities to find slots in the varsity mix as well. On the girls side, despite Caroline Keough's graduation, Foster's group boasts enhanced experience, led by defending Class L state champion Cate Allen. Allen, along with Sophie Flay and top 100 State Open finisher Kelly Powlishen. Six of Warde's returning runners ran the 2012 State Open race. Perhaps ironically, Allen is the only returnee who did not run at Wickham Park at the Open. Roey Mappa, Amanda Kuczo and Rachel Maltz round out the crew of returners who competed in the State Open. Senior Leah Epstein and juniors Rebecca Roos and Quinn Igram offer experience, and sophomores Hannah Dougherty, Catherine Jacobi and freshmen Julia Muhlenberg, Sarah Radziewicz and Isabelle Radziewicz are "running well," Foster said. Molly Davidson also joins Warde's squad, and the Mustangs will look to improve upon their 15-3 dual-meet record last year that culminated by qualifying for the State Open by finishing fourth in Class L.
"They'll look to compete at a high level," Foster said.